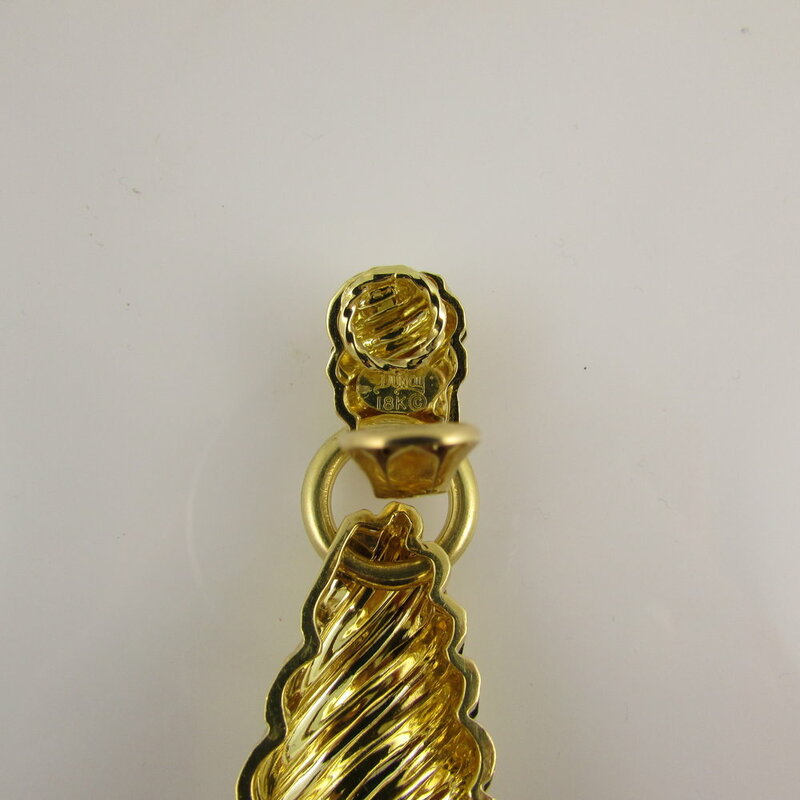 18KT yellow gold dangle earrings with a hammered finish. Signed Henry Dunay. 2 1/8” long. Clip backs, no posts.